AFS (Axiomatic Fuzzy Sets) -based formal concept is a generalization and development of classical concept lattice and monotone concept, which can be applied to represent the logic operations of queries in information retrieval. Granular computing is an emerging field of study that attempts to formalize and explore methods and heuristics of human problem solving with multiple levels of granularity and abstraction. The main objective of this paper is to investigate and develop AFS-based formal concept by using granule logics. 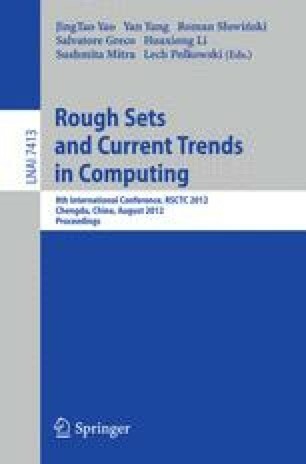 Some generalized formulas of granular computing are introduced, in which AFS-based formal concept and AFS-based formal concept on multi-valued context are interpreted from the point of granular computing, respectively.